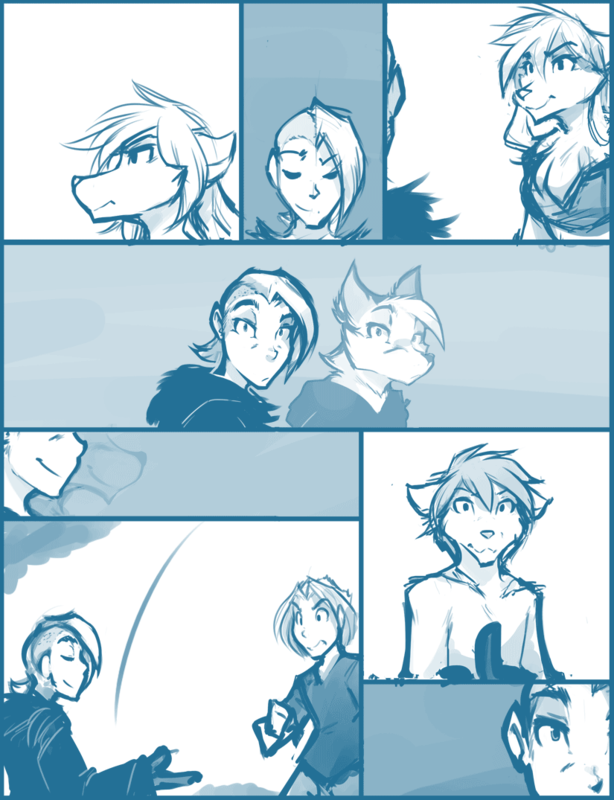 984: Carver's True Nature - Twokinds - 15 Years on the Net! Raine: You’ve been lying to use this whole time. In fact, I know you’re not a real Templar at all! Carver: Oh? Now that’s a bold claim. Why would you say that? Raine: Because I’ve been able to see the real you since you first appeared! Raine: It’s a trick I’ve seen before - an illusion spell. Isn’t that right… fox? Raine: Which makes me think you didn’t just find us by coincidence. Carver: Well, shoot. To see through my magic… hm. What an unusual girl. The boss might be interested in you. Red: So you were a Keidran all along? Damn it, again! I should have known! Why are you really after us?! Carver: Pfff! I don’t care about you at all. Like I said, I’m hunting for wolves. Certain wolves. Carver: Let’s just say, you left a lot of loose ends back at the guild. And the person I work for has been very eager to get their hands on you again.